If You're Trying To Lose Weight, Avoid This Diet To Protect Your Heart! Shedding extra pounds is supposed to be good for you. But some recent headlines have suggested that crash diets can lead to serious heart problems (particularly in vulnerable individuals). So far, the evidence suggests that these low-calorie regimens can ultimately improve health because the cardiovascular risks are usually temporary. What exactly is the hazard researchers are talking about? And how can you lose weight without risking heart problems? Here are some things you need to know. Calorie-restricted diets have become a popular way of slimming down, which can help many people reverse metabolic disorders such as diabetes, obesity and cardiovascular disease. Typically, a person on a crash diet will limit their total food intake per day to just 600 to 800 calories. In contrast, according to the U.S. Department of Agriculture, the average relatively active person requires between 2,400 and 3,000 calories a day to maintain their weight. However, there is a lot of evidence that people on calorie-restricted diets live longer. Studies also show that crash diets are effective in helping people who are overweight or obese lower their weight. Obesity is considered a major risk factor for diabetes, cardiovascular disease and many cancers. However, a new study conducted by Dr. Jennifer Rayner of Oxford University found that very low-calorie diets led to a “transient deterioration in heart function,” which appears to be caused by a temporary increase in heart fat content that began shortly after individuals started their crash diets. This result was unexpected since all other measures of fat density (total body fat, visceral fat and liver fat) declined substantially. On the other hand, the increase in heart fat content was significant — 44 percent the first week after the diet began — and was confirmed using magnetic resonance imaging of the heart muscle at periodic intervals. Thankfully, the acute decline in heart function for those undergoing a crash diet appear to be both temporary and reversible as the body adjusts to new levels of caloric intake. 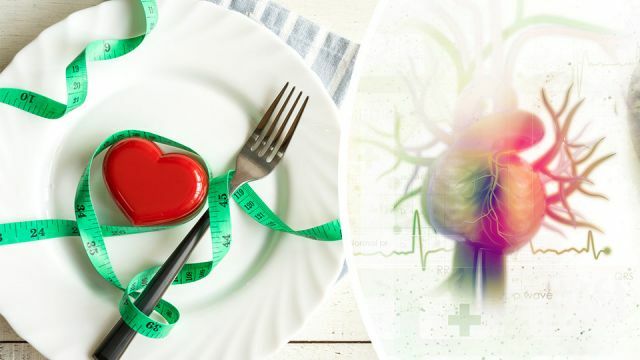 Nevertheless, the new research strongly suggests that anyone undergoing a crash diet needs to exercise caution — especially if they have a pre-existing heart condition. Crash diets are not for everyone. Less drastic options include largely planted-based plans such as the Mediterranean diet and the DASH diet, which emphasize high-quality calories instead of calorie restriction. After all, there’s an abundance of evidence that indicates that the best way to maintain your weight and keep your heart healthy is to eat like people in the so-called “Blue Zones” That means eating foods that have a high nutrient to calorie ratio, which means antioxidant-rich fruits and veggies, olive oil, nuts, legumes and fiber-rich whole grains. Hey Buddy!, I found this information for you: "If You’re Trying To Lose Weight, Avoid This Diet To Protect Your Heart". Here is the website link: https://www.thealternativedaily.com/if-youre-trying-to-lose-weight-avoid-this-diet-to-protect-your-heart/. Thank you.